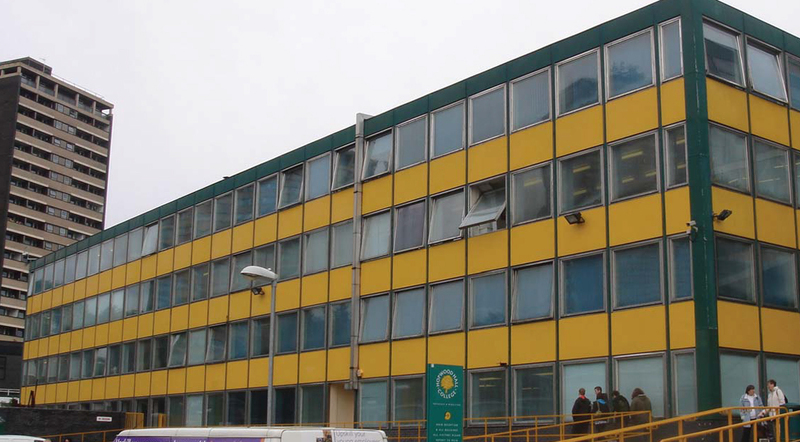 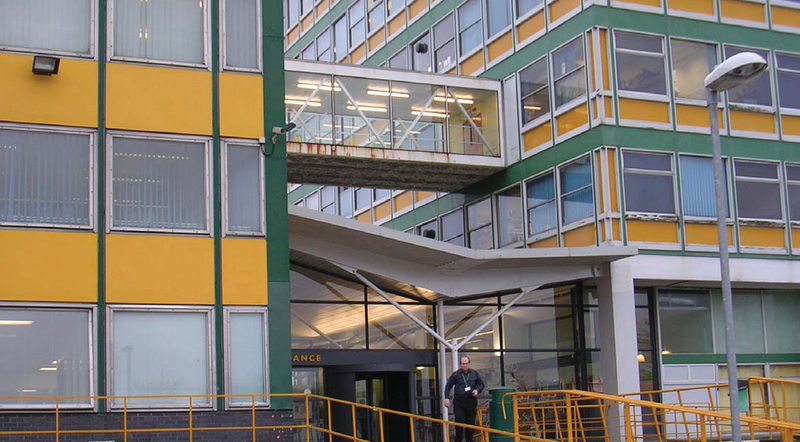 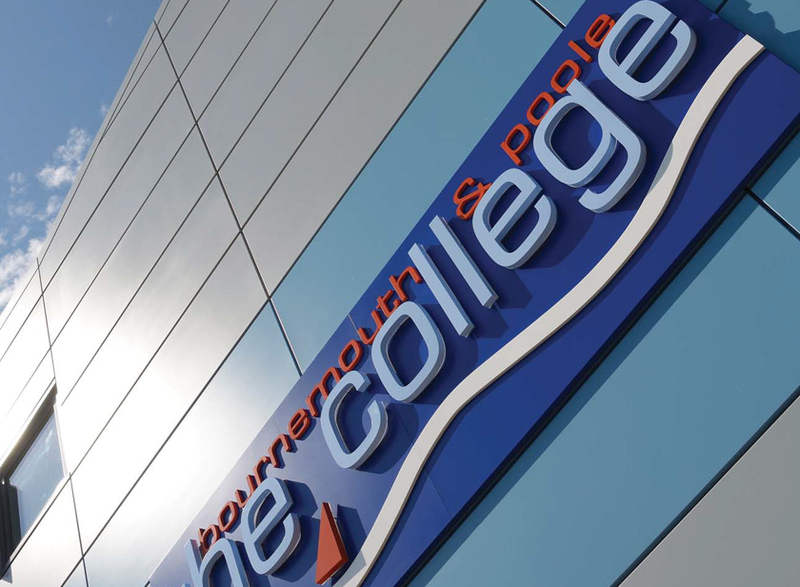 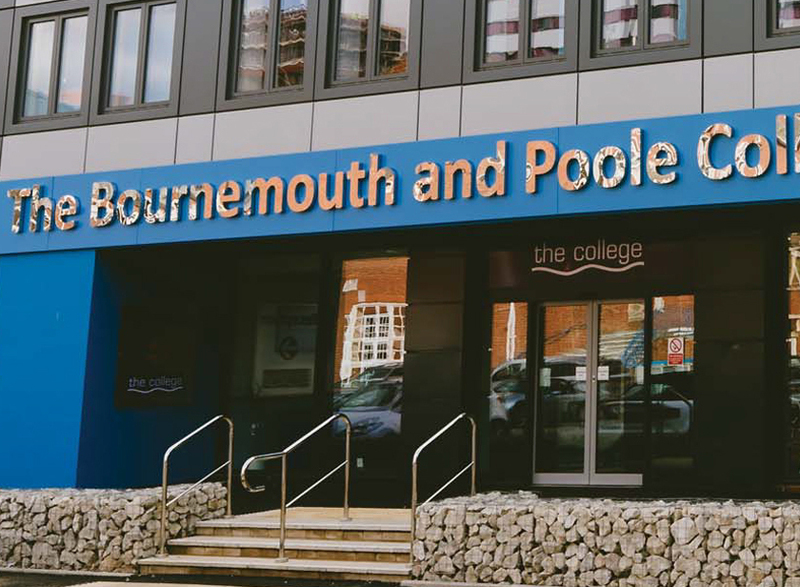 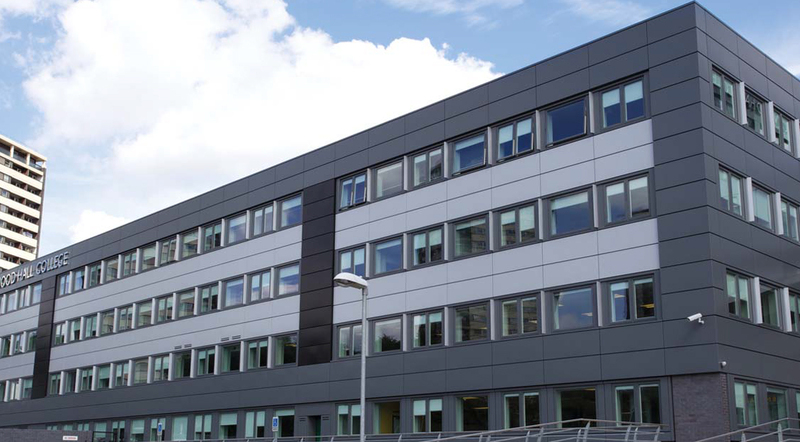 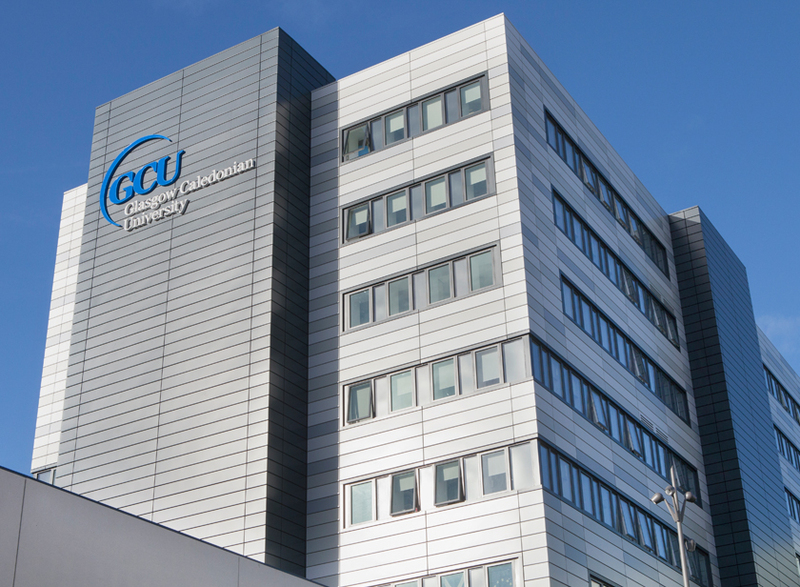 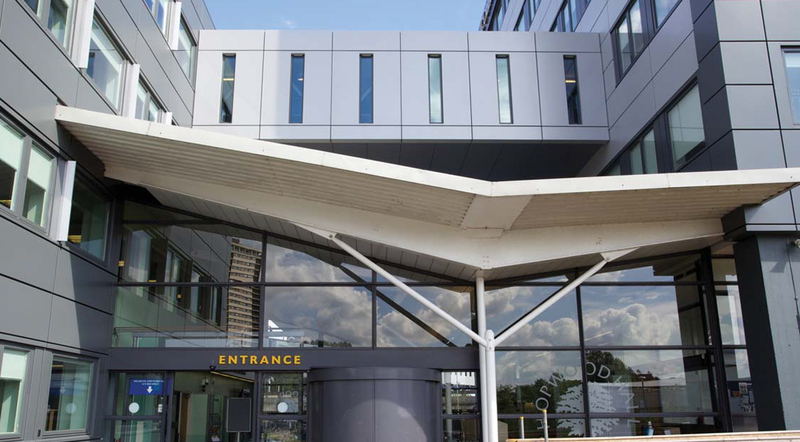 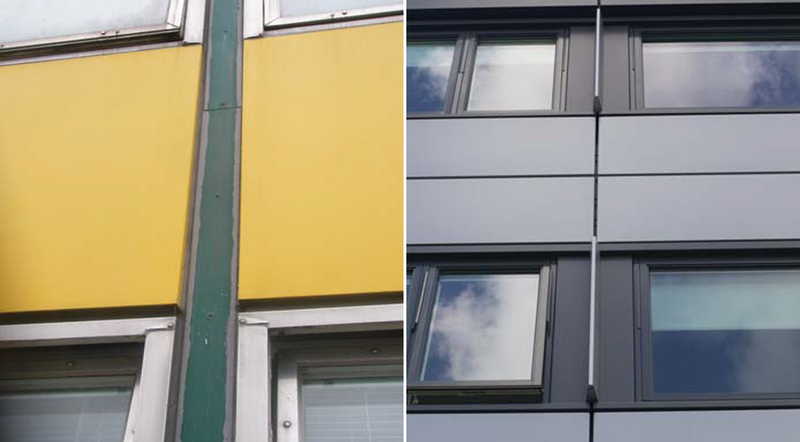 Insulated aluminium rainscreen overcladding, single ply overlay roof and replacement windows to two interconnected multi-storey buildings, the six storey Miles Ashworth Building and the four storey Benjamin Rudman Building. 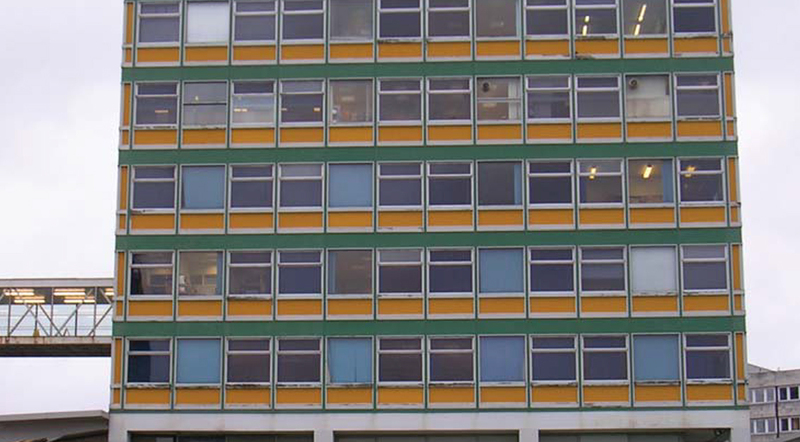 Additional works undertaken included render to brickwork below ground floor sill level on the Benjamin Rudman Building and masonry paint treatment to exposed concrete columns and beams to the ground floor of the Miles Ashworth Building. 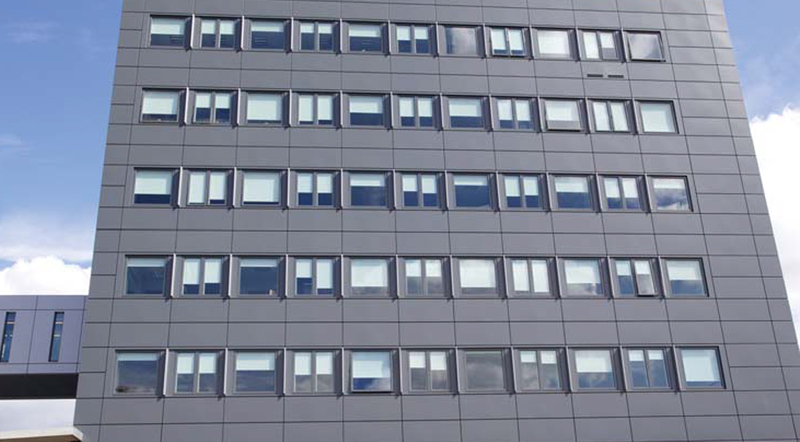 “The over-cladding scheme has not only provided a ‘new-look’ but transformed the gateway to Rochdale town centre. 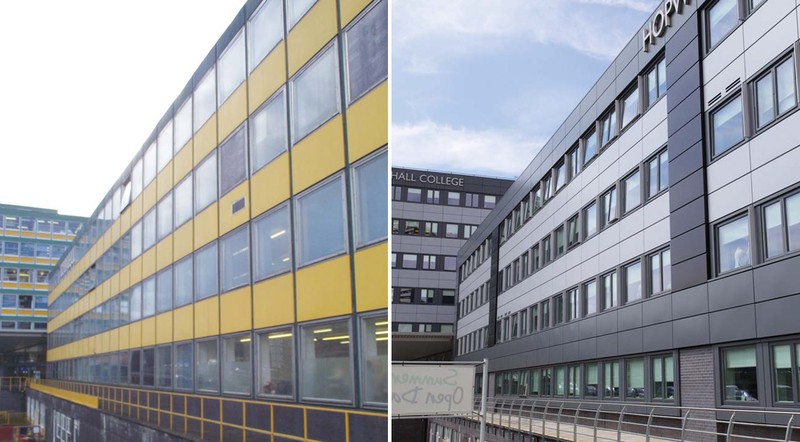 Needless to say, the College are very pleased the strategic decision to over-clad the campus has delivered the desired result and indeed surpassed our expectations. 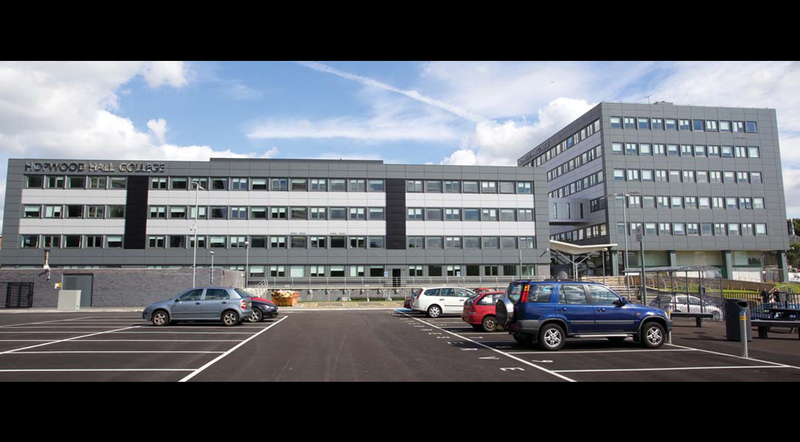 The result is primarily due to the huge team effort from the design team, contractor and College estates team, to make the scheme succeed. 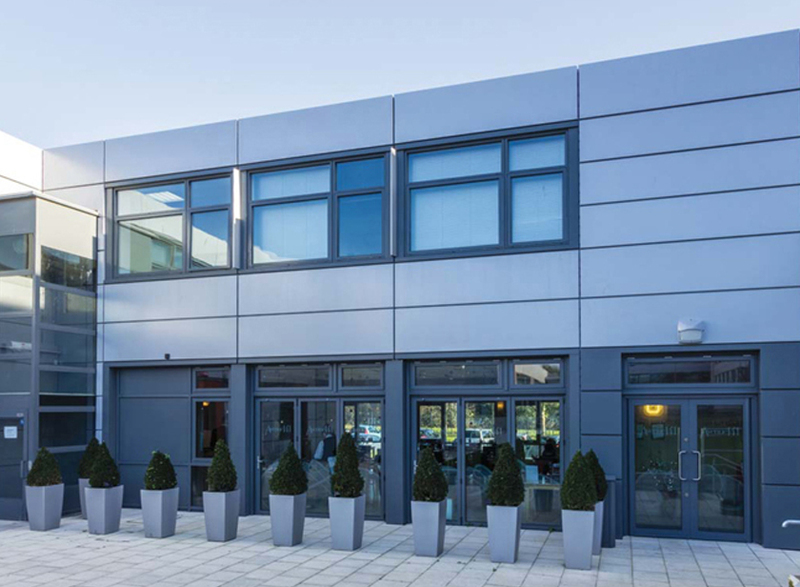 This project was delivered in-year, on time and budget, with minimum interruption to business continuity and it’s a credit to the flexibility and professionalism of d+b facades”.